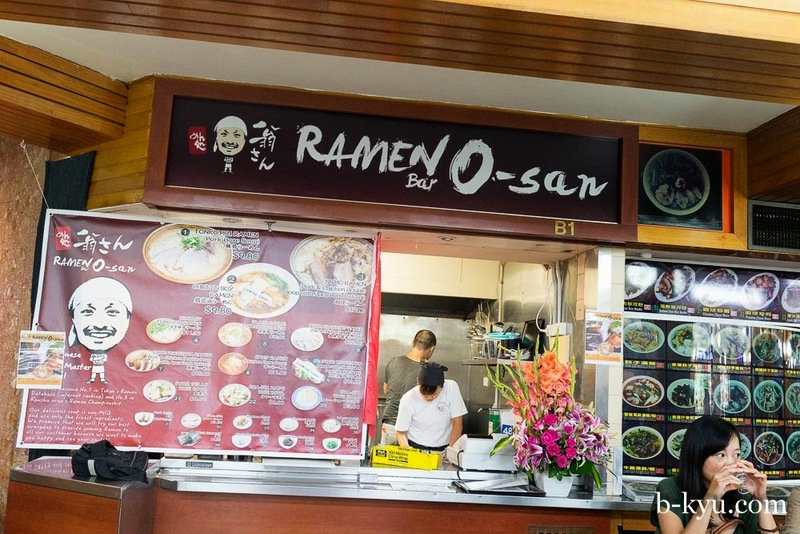 Yay, a new ramen joint in Sydney Chinatown's Dixon House Food Court, Ramen O-San Bar. 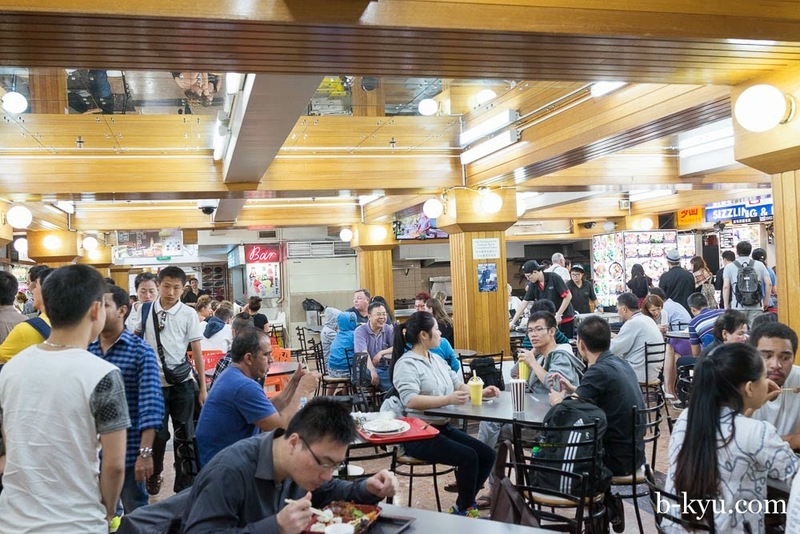 It's been a while since we've loitered in our beloved Chinatown food courts. We feel a little guilty, like we've locked the kids in the car while we've been travelling and working a lot in the past few months. We feel most guilty about Dixon House Food Court because it seems to be on borrowed time, there's always 'for lease' signs, and as much as we love the surreal grunge of this place, it does need a face lift to attract some classier customers than us. With all that in mind we are thrilled to see good old Dixon House humming on a Friday night, and with two brand spanking new stalls. There's a new Chinese stall which looks a bit temporary. But the one that has folks excited is the new ramen joint, Ramen O-San Bar. And we're happy to say it's pretty good too. The front counter lady is super cheery and the guy in the back plays with his huge pots of broth with big sticks. That's precisely what we want to see. We also hoped to see a simple classic Tokyo style ramen on the menu but that's not what gets the kiddies excited. 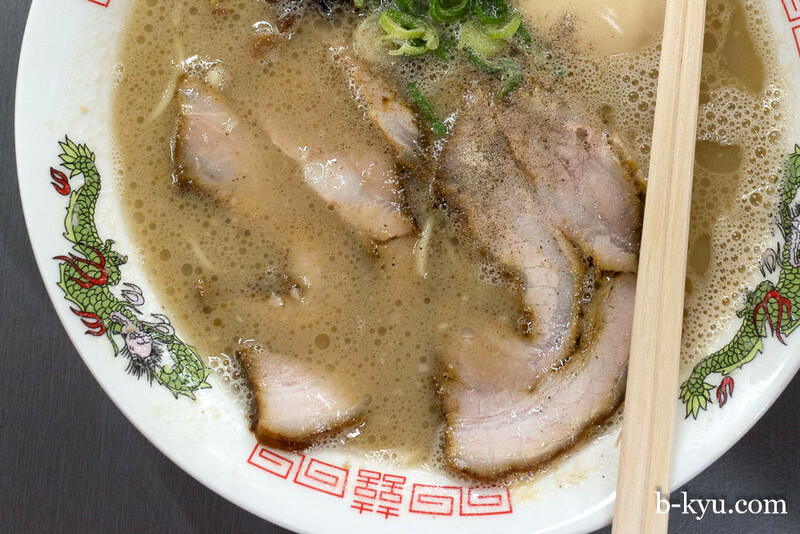 Sydney loves a thick tonkotsu style ramen and that's number one on the menu. While it's always tempting to compare this to Gumshara, Sydney just has to let go of that lazy 'best ramen in Sydney' obsession. There's other ramen styles out there to try, folks. Back to the noodles. 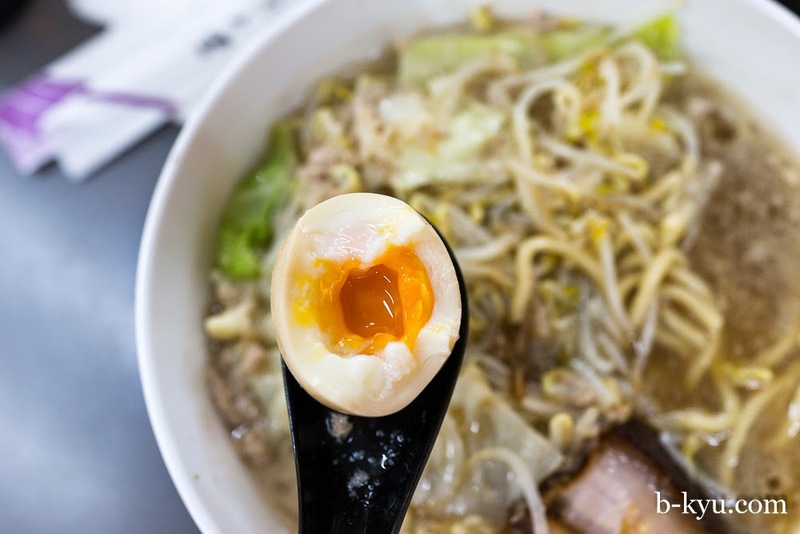 It's a good tonkotsu, thick, rich and porky and the noodles have a nice bite. We dig. A great deal at $9.80. Make sure you add $1.50 for an egg, it's a fine googie. The googies are great here, rich and runny in the middle. Optionally essential. We look forward to trying the chicken and fish based ramens here, we love a fishy hit in our ramen. They're coming soon to the menu. #2 Chicken soy ramen - $9.80. 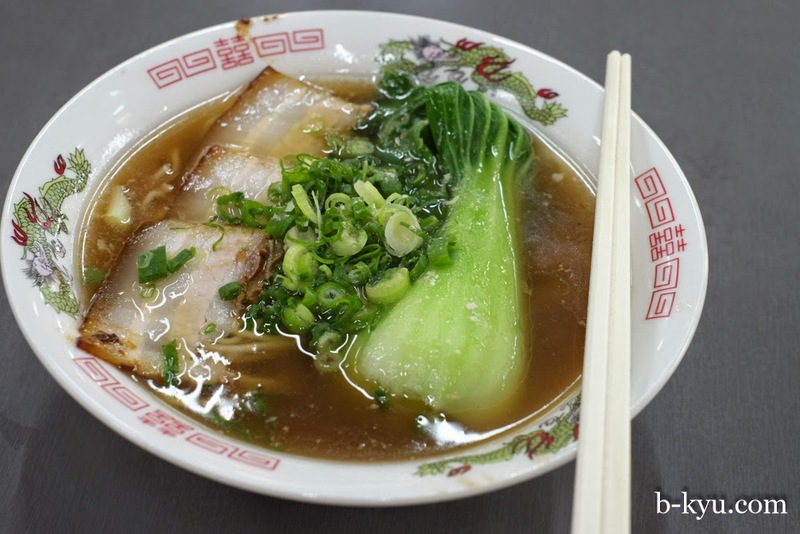 A thin, strong chicken broth with semi-nutty kick to the soy. There's couple of rasher thin slices of pork and veggies on top. 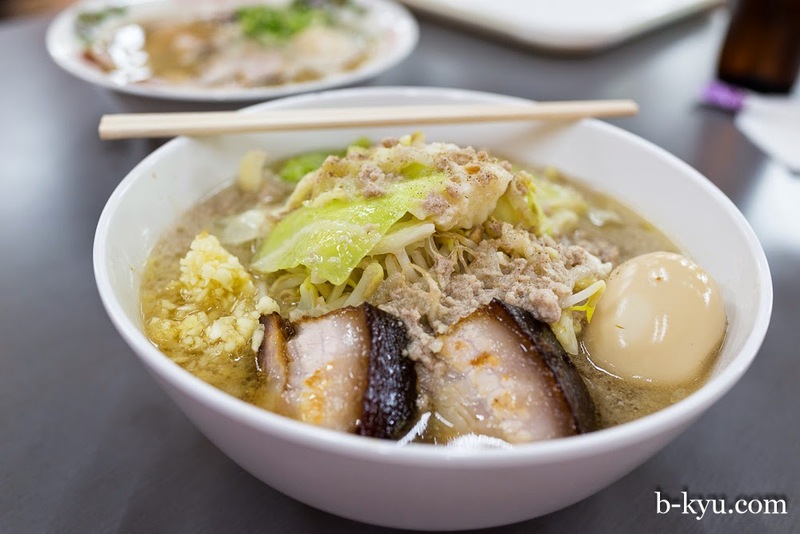 We love a good chicken broth and they are hard to find in tonkotsu obsessed Sydney. Char sui rice balls - $2.50 each. 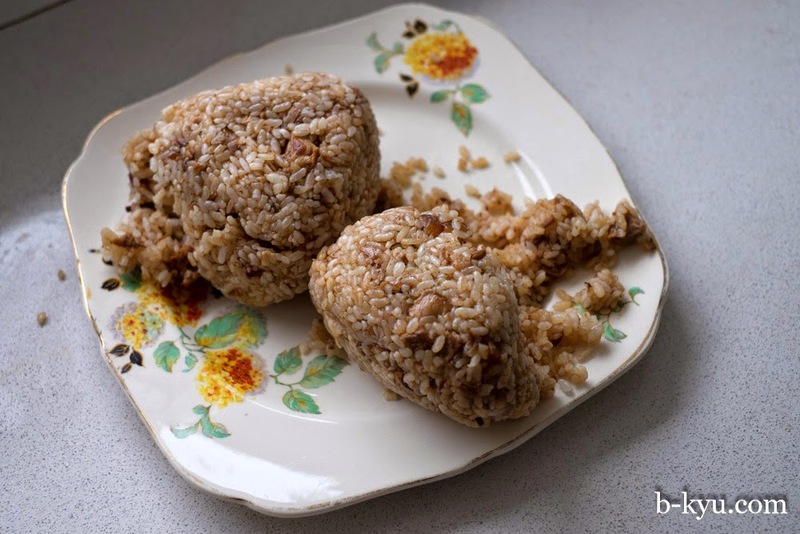 These are a great snack or mini-meal, tastes like plain fried rice with flecks of moist rich pork, fresh and simple. 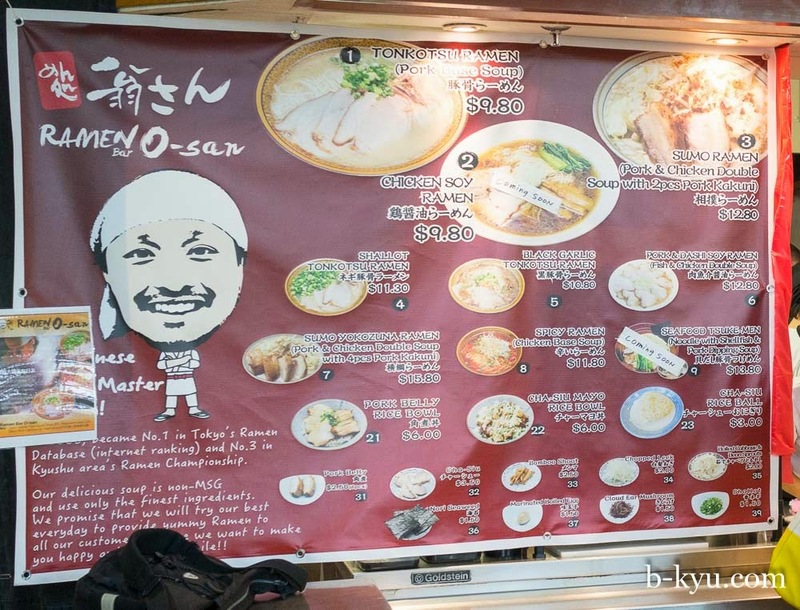 Ramen O-San has wisely chosen the stall right at the main, corner entrance at Dixon House so you can't miss it. Enter via the corner of Dixon and Little Hay Street's Chinatown. I feel like a dummy because I've glared through the "hole in the wall" several times wondering what this joint was all about. I simply lost the plot. Thanks for the explanation what this joint was all about. Mmmm, Blogman is getting cryptic. "it does need a face lift to attract some classier customers than us". Nooooooooo! Stan, I'm sure you are as classy as us! Was just looking at this post again, and your reply. Yes, all class. My idea of taking my wife out for dinner in town is a meal at Dixon House, or Eating World for a particularly special occasion! Your Valentine's Day posts are always entertaining.